PLEASE READ BELOW TO SEE DETAILS ON PRICING, CAREFULLY REVIEW OUR RULES AND REGULATIONS, AND RESERVE YOUR TUBING TIME, TODAY! Come tube at Echo Mountain and enjoy incredible views of the Continental Divide! Serviced by a brand new conveyor lift, a variety of lanes and brand new tubes will have you sliding through the day. Race friends in solo chutes, or link up with family in our party lane! 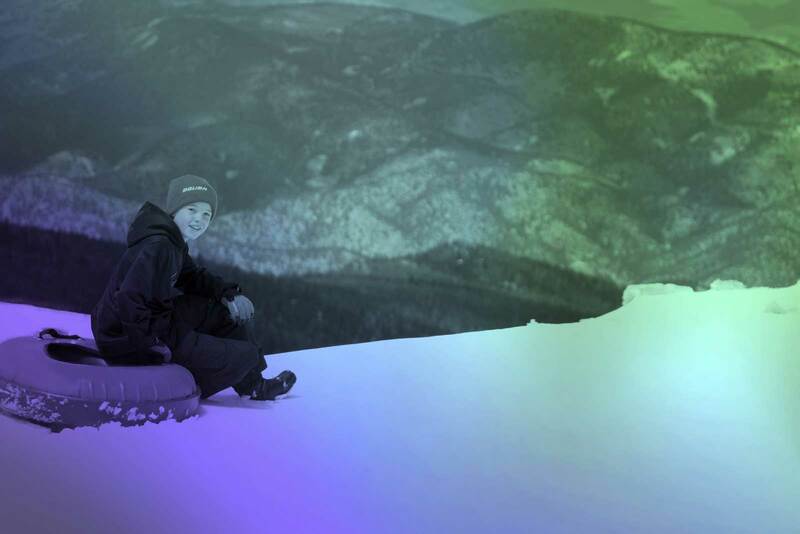 Please note that the tubing hill is not guaranteed to be open for walk-ins if we do not have online reservations. No age minimum, but the height requirement is strictly enforced. No lap riders- 1 person per tube. All our tubes have a leash for linking up with little riders (and big riders too!). Follow attendants signal before entering and make sure your lane is totally clear. Immediately exit out the end of the lane. Look uphill for other tubers before crossing lanes as you exit. No belly-down / head first (superman-style) tubing. Must be on your backside. No running and jumping into each lane. ARRIVE 30 MINUTES EARLY!! We want you to enjoy your full hour, which begins as reserved! Please plan your travel time accordingly. After all, it is winter in the mountains! Recommended attire: Waterproof pants and jacket, properly layered clothing, snow boots or shoes, gloves, and helmet. Need something? We've have jackets, pants and gloves available. Check out our rental page here for more details. 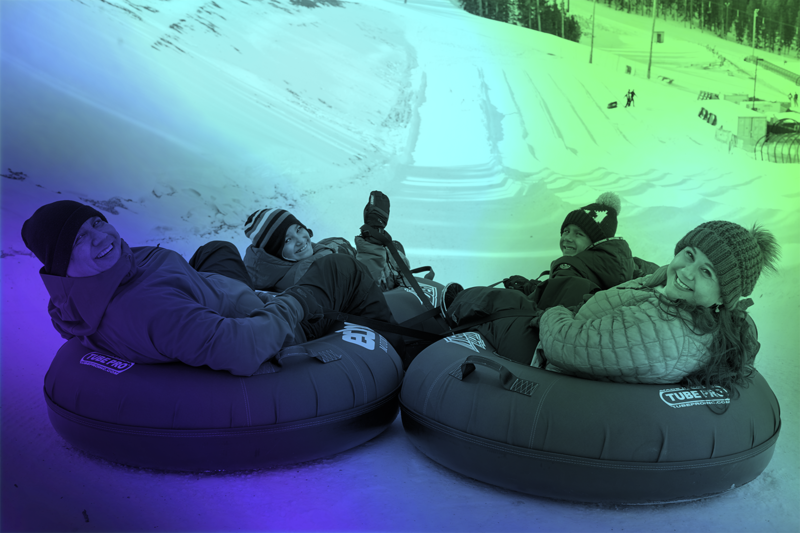 $25 per person for one hour access to the tubing area, conveyor lift and includes tube rental. Have a group of 20+? Send us an email to [email protected] for rates and information about making a reservation! Group discounts may not apply on holiday weekends. Why yes, you can rent the entire tubing area for an hour or two! Send us an email to [email protected] for rates and information on how to set you and your 60 closest friends up for a tubular time. 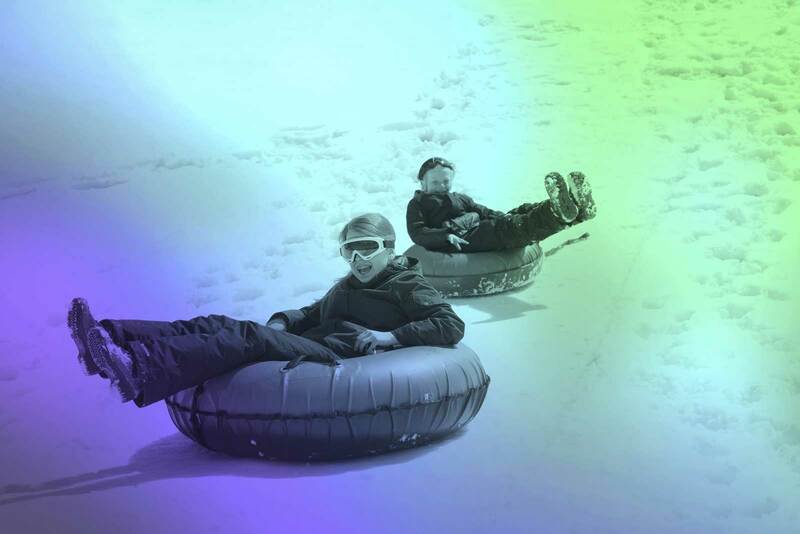 As an Echo Ski & Snowboard Season Pass Holder, you receive one free hour of tubing per month! Passholders must make a reservation at least 24 hours in advance via email for their complimentary hour. Please e-mail [email protected] to check availability and reserve your spot, today!